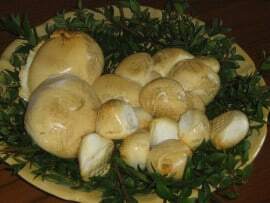 In spite of the success of the local modern agriculture, the most famous and important food product of the area, especially in the towns of Battipaglia, Eboli and Paestum is by far the buffalo mozzarella cheese. Book your holiday to La Morella and taste real buffalo mozzarella. Click here to check the availability and for direct bookings without commissions and agency fees. 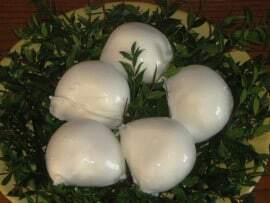 In spite of the success of the local modern agriculture, the most famous and important food product of the area, especially in the towns of Battipaglia, Eboli and Paestum is by far the buffalo Mozzarella cheese. Mozzarella is the most important among the several cheeses that are made only in a few specific provinces Italy and are based on pure buffalo milk. Due to the worldwide success of this product and to the absence of a proper and timely brand-protection policy, this name is today widely abused as a generic indication for a fresh cow milk cheese, made anywhere in the world. Fortunately for the Mozzarella producers working within the original production area, authentic buffalo mozzarella is arguably, as discussed in an article issue recently in New your Times magazine, “the most difficult cheese to replicate”. 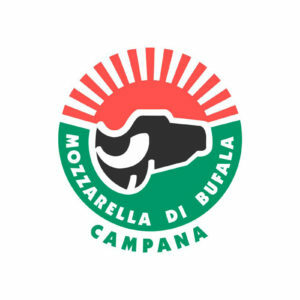 In order to protect consumers from fraud, a brand “Mozzarella di bufala Campana” (Buffalo Mozzarella from Campania) has been created, far too late, as has been attributed a protected designation of origin (PDO) under EU law. Quite unfortunately for the “buffalo mozzarella lovers” spread in the world, the diffusion of this specialty outside the production area is limited by a severe intrinsic constraint: “real” mozzarella loses its wonderful flavor very soon. People living within the production area would in fact typically refuse as “too old” a mozzarella made only two days before! For this reason, the taste of mozzarella must be enjoyed in the region where it is produced. Caserta and Naples. Aside for products based on buffalo milk, buffalo meat is another specialty of the area. Buffalo meat contains less fat and cholesterol than beef meat, and is richer in proteins and iron. ”we treated for roads and impassable marshes here and there, to the foot of two beautiful mountains, crossing streams and canals and meeting buffaloes looking like hippos, wild-eyed and bloodshot”. Today buffalos are bred in modern farms, most of which are open to visitors, and sell their mozzarella and other products on site directly to the customer. Visiting a buffalo breeding is one of the favourite short tours of our guests in the surroundings. We suggest two of them, Taverna Penta and Tenuta Vannulo.